The low-cost carrier will use a blend of the aviation turbine fuel and biofuel to power the flight. SpiceJet will today fly India's first biofuel-powered flight from Dehradun to Delhi on its Turboprop Q400 plane. The fuel has been developed by Indian Institute of Petroleum, based in the capital of Uttarakhand. The low-cost carrier will use a blend of the aviation turbine fuel and biofuel to power the flight. "In a first-of- its-kind experiment in India, biofuels developed by Indian Institute of Petroleum - Dehradun, will power an aircraft. A huge step towards encouraging sustainable and alternative fuels for the transportation & aviation sector as envisaged in NationalBiofuelsPolicy,” Dharmendra Pradhan, minister for petroleum and natural gas tweeted this morning. The low-cost carrier has called for a press conference later in the day to announce the same. 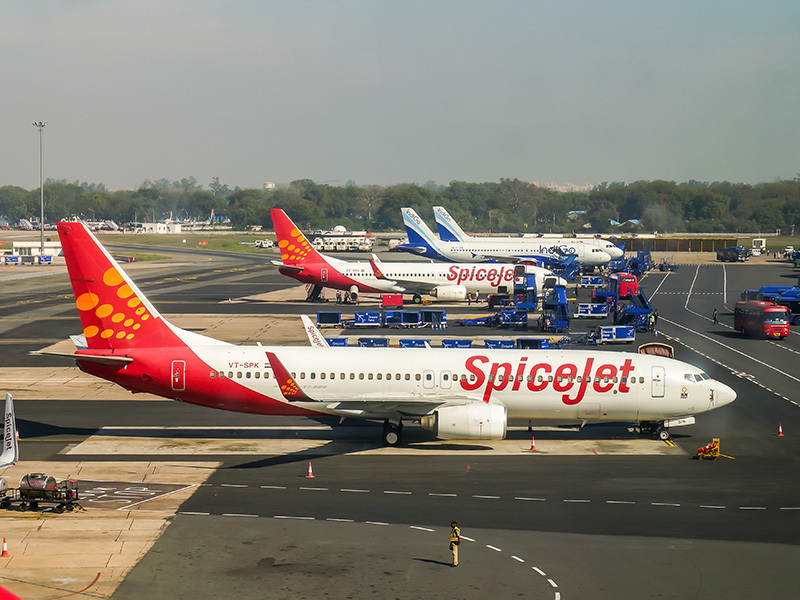 Spicejet promoter Ajay Singh, Pradhan along with colleagues, Cabinet minister for aviation Suresh Prabhu and Minister of State for Aviation Jayant Sinha will be present on the occasion. Safety regulator Directorate General of Civil Aviation and oil marketer Indian Oil Corporation found the oil safe to be used as a jet fuel. Billionaire Richard Branson's Virgin Atlantic was the first airline to have used biofuel to fly London-Amsterdam ten years ago. If the test is successful, India will be among the first developing nations to adopt the sustainable alternative jet fuel. Fuel is the biggest cost item for an airline, accounting for as much as one-third of the total cost of operations. While India has the fastest growing domestic aviation market in the world – more than 125 million passengers flew in 2017-18 at a growth rate of 18 percent – most of its airlines are either loss-making or struggling.